* I missed this much-traveled link indicating that the creator Jim Starlin is negotiating with Marvel to nail down the media company's right to use the Thanos character as a future movie big-bad. That would be a good thing. The weird thing about these stories is that you'd think participating in those movies and licensing would be a huge deal for creators, but it doesn't seem to be a game-changer in any way, shape or form. 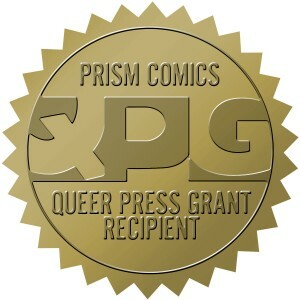 * missed it: Chris Butcher talks about the Prism Comics Queer Press Grant. That seems like it would be a good thing to win, and a good thing to which one might donate. You can go to them directly here. There are not a lot of institutional supports for comics-making right now, and I hope that this one gets as much attention as possible. * Henry Chamberlain on Best Of Enemies. Joshua Glenn on Dal Tokyo. * not comics: I missed Jen Sorensen's report from the DNC in Charlotte last week. * Ed Brisson has some advice on how to break into comics. You'll need a job, because it costs a lot to break into comics. Marvel's Tom Brevoort talks about the job of editing comics. That also has its difficulties, although it doesn't seem to require getting another job. * Dave Lasky writes about where he was the day that Dylan Williams died. * not comics: it seems reasonably alarming to me that the notion that readers of new on-line are not devoted in the same way that print readers can be and that this has an effect on advertising is still driving feature articles some 14 years after the idea gained popular currency. I don't know if it's more distressing for the media source or for that reality ever changing as such articles always suggest, but it seems a bit dismaying to still be talking about that. Also, I guess it's nice that a publication is doing well enough to drive the building of a devoted building, although it seems like there's a lot of space out there that publications can inhabit in most cities. This piece just seems to be a nice way of saying that just about everyone is going to be fired, but that's my cynicism showing. * I sort of powered past this piece about a gay, male vampire slayer being added to the Buffy comics. That seems oddly presented in that while a gay, male character killing vampires as a metaphor for bullying seems an admirable thing to add to a story like that, I don't think that this is an actual vampire slayer as that general story defines one, and it sort of seems like that's how the publishing news story is being presented because that would be a better hook. That's my impression, anyway. * Tim O'Shea talks to Curt Pires. Frank Santoro profiles a bunch of folks. And here's Al Feldstein talking to William Gaines and Joe Kubert. * the comments thread underneath this article about Gary McCoy doing a Sandra Fluke cartoon is interesting because it shows just how useless most traditional rhetorical strategies have become in discussing anything with a political dimension. You'd think that the strange hostility of the cartoon and McCoy's basic admission that a previous cartoon he denied was even about Fluke was seemingly clearly about her would draw some criticism and it does; and yet the response on some level seems to be, "you're just mad we dare criticize your politics." It's not so much the competing ideas actually clashing that interests but the notion that these ideas are competing and therefore of equal value and that the underlying legitimacy of these strident points of view makes every practice concerning them possible. Even just writing that out people are going to assume I'm also really just mad about the political figures and stories involved or whatever. Anyway, the dominance of this kind of thinking is one reason that people that do cartoons that for whatever reason pierce this notion that everything is on the table and draw more general censure seem baffled and upset that they're being singled out. * finally, this post is one of those where you don't dare look at the comments, even if you know they've been policed.